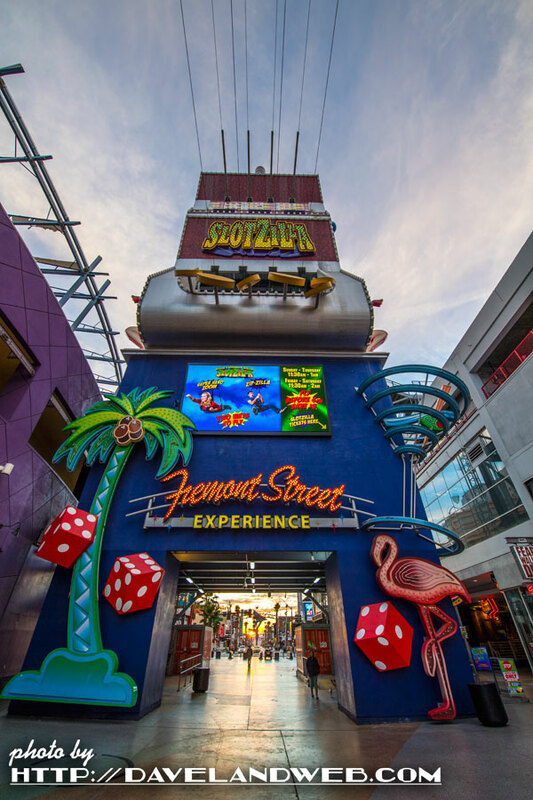 As part of a program to renovate this downtown Las Vegas area, the “Fremont Street Experience” was created at the western end of Fremont Street in 1995. 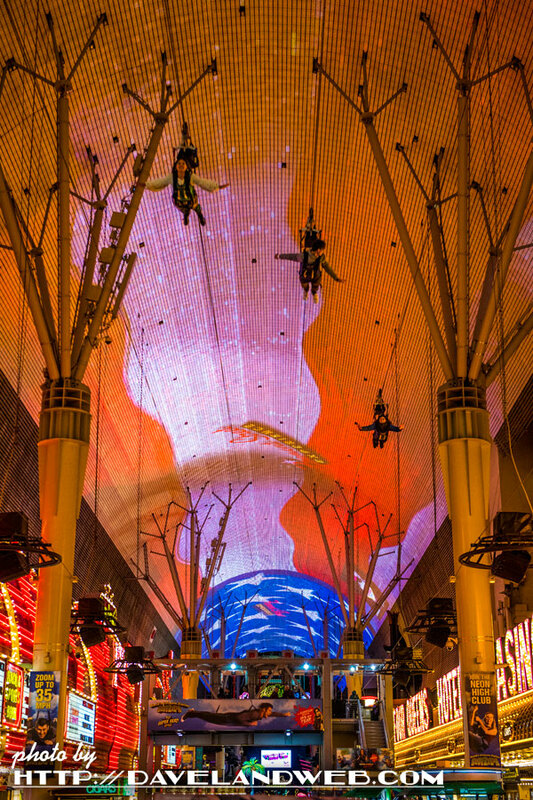 If you like to live life for the thrills, how about the SlotZilla Zip Line? 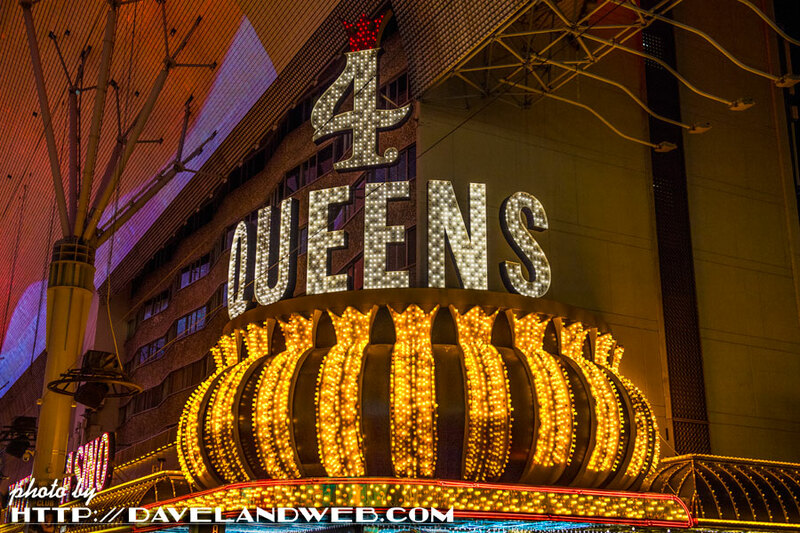 Stay tuned: more Fremont Street on the way! Very cool, and love the new banner! Fun stuff. 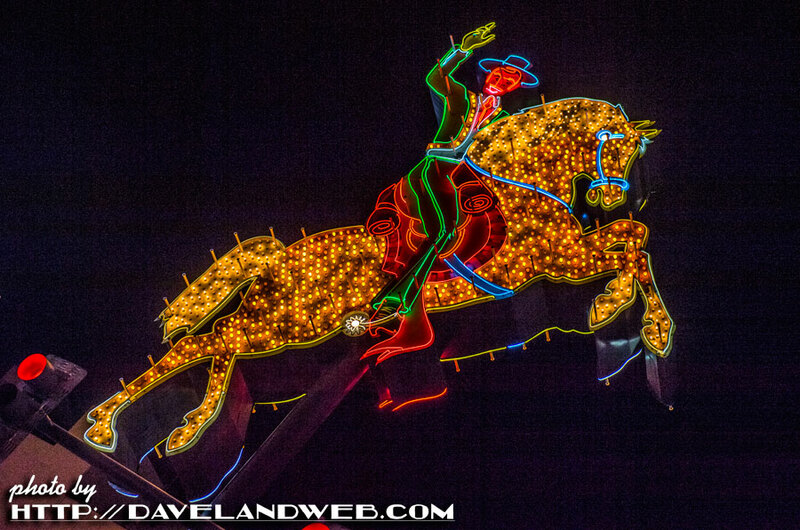 I remember a visit to Fremont Street when I was quite young, in the heyday of neon. 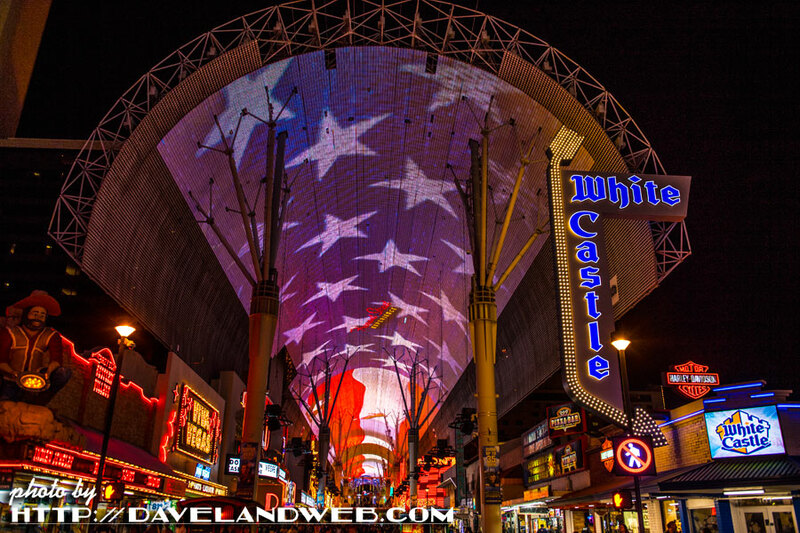 Dad drove us down from our hotel on the Strip and we walked up and down the sidewalks in the evening with the lights glowing and buzzing overhead. 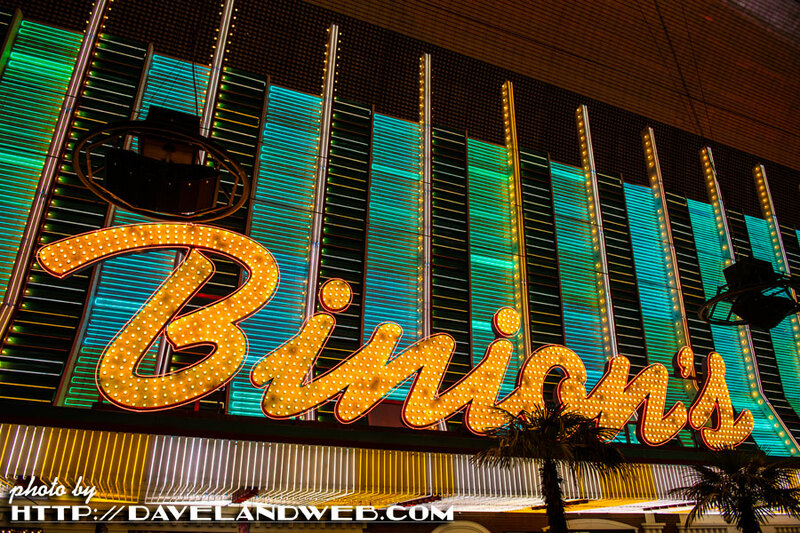 Each casino had it's own style of sidewalk paving, many in terrazzo with the name and logo of the house in different colors. Very much an immersive experience for a kid. 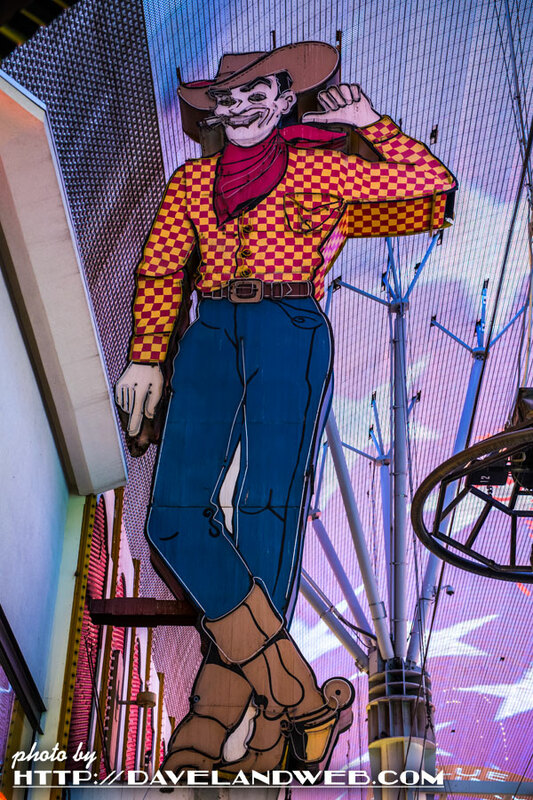 Vegas Vic was animated and his arm waved up and down. The Gold Nugget was another big flashy front, but I think it is closed now. We saw the "Experience" some years ago, but wasn't overly impressed. It's still a spectacular light show, but not a patch on the old street. Vic's arm is locked in place since he would reach through the roof otherwise. 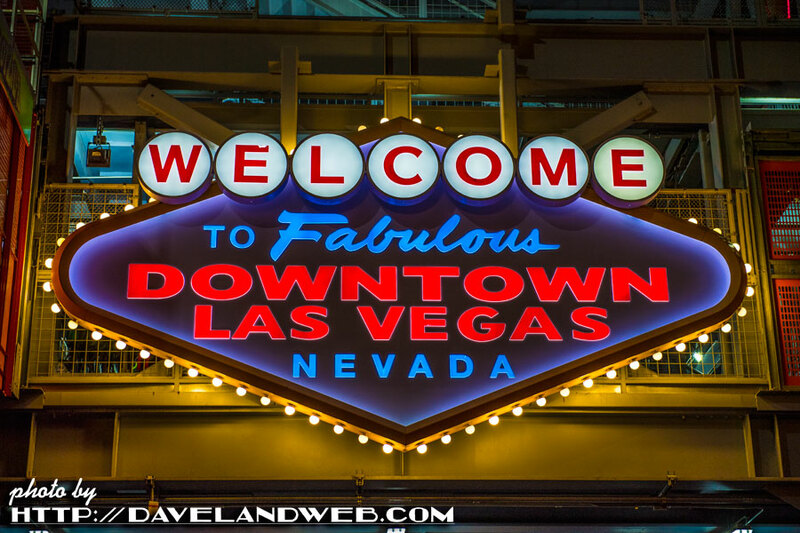 Thanks for these pictures, Dave. Good Memories.